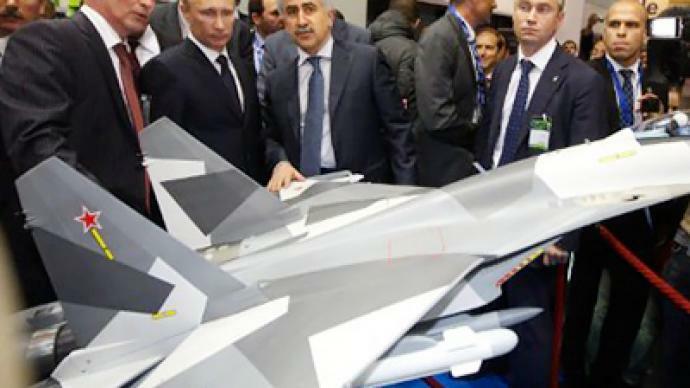 Russian Prime Minister Vladimir Putin visited one of the world’s top air shows in Le Bourget near Paris. 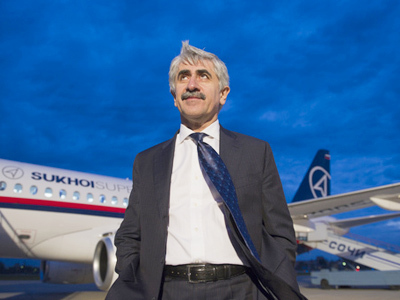 He watched a performance by Russia’s new Sukhoi Superjet 100 airliner, which is set to replace Russia’s outdated civilian aircraft. At the show, the Russian premier, who is currently on an official visit to France, also observed flights by another Russian aircraft, the Be-200 amphibious plane, and took time to explore the Russian stands at the exhibition. Both Russian airplanes conducted maneuvers in midair, and the Be-200 performed a water release to much applause from the spectators. Putin, who is attending the show for the first time, handed Russian awards to French astronauts who took part in work at the International Space Station and Russia’s Mir space station, commending them for their contribution to space exploration. 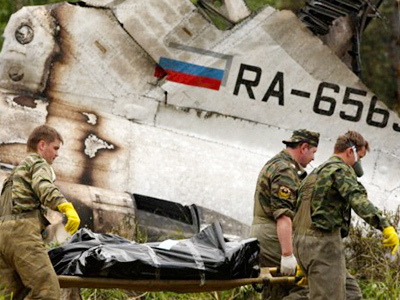 The air show saw several big agreements signed between Russian and international companies. On Tuesday, the Indonesian air carrier Sky Aviation signed an agreement of intent to buy 12 Russian Sukhoi Superjet 100 passenger airliners. The deal is estimated at $379.2 million. 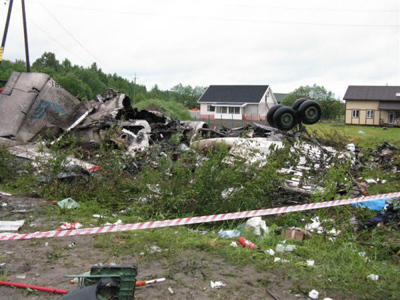 Sukhoi Superjet 100 was constructed to replace old Russian aircraft like the Tu-134, one of which crashed near the city of Petrozavodsk early on Tuesday. The Russian Helicopters company signed a deal to set up a joint venture with the Italian helicopter company AugustaWestland. Another major agreement was reached between the Russian airspace corporation Energia and the European space consortium Astrium. They signed a memorandum to create a joint venture to develop earth-monitoring and telecom space systems.